Founded during the late 1940s, Soichiro Honda, the company founder, first began making piston rings and later turned his focus to smaller, inexpensive motorcycles. Mr. Soichiro Honda had tremendous love for engineering, and which bore fruits in the form of strong motorcycle sales during the 1960s. Also, Mr. Honda’s company was now able to compete against the bigger market players of the time. Needless to say, Honda motorcycles have had a successful business journey, which turned the firm into a juggernaut of sorts, providing top-quality machines in almost every automobile category. Mr. Honda was born in 1906 in the Japanese city of Hamamatsu. His dad owned a blacksmith store that also offered bicycle repair work. During his younger days, Mr. Honda worked as an apprentice in a Tokyo automotive garage. In 1928, Mr. Honda went back to Hamamatsu to launch his very own auto repair space. Enchanted by speed, he went on to build his race car. During 1937, he launched a firm that manufactured piston rings. Post a not-so-steady beginning (thanks to his lack of formal metallurgy training), the company started tasting success. It became a vital parts supplier to Toyota, a company that entered the auto industry during the same period. Post World War II, Japan was desperately in need of affordable transportation. Mr. Honda noticed the call and responded accordingly. This shift in business focus played a role in Honda Motor Companies’ incorporation in 1948. 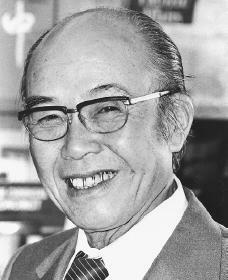 The business’ engineering side was taken care of by Soichiro Honda, while Takeo Fujisawa controlled the financial operations. The first motorcycle was made in 1949. It housed a two-stroke, 98cc motor. It was officially named Model D.
A couple of years post the first motorcycle rolling out of Honda’s factories, the founder wasn’t pleased at all by the fumes, smell and noise typical Japanese street motorcycles were making. To tackle this, the company made its own 146cc, four-stroke motorbike, called the Dream E.
In 1953, the 90cc, four-stroke Benly J donned Japanese streets. A few of these had the “Benly” badge on the tank, with only the engine cases bearing the Honda brand. The Benly series was a successful product line, eventually paving way for much better performing motorcycles. The amateur racers of Japan expressed their love for the series almost instantly. In 1963, Honda shifted its focus to F-1 car racing; it also opened its first foreign plant in Belgium. By the early 1960s, two-stroke vehicles started dominating the market. To stay competitive within the 250cc category, Honda came up with the 3RC164 – a 250cc, six-cylinder motorcycle. In 1968, 19 years after having rolled out its first motorbike, the company made its 10 millionth vehicle. The year 1993 marked the birth of the stunning CBR900RR – a motorcycle amalgamating the strength of an open-class motorbike with the handling and weight of a 600cc. Fast-forwarding to 2010 and we have the VFR1200F. Though not a typical sports motorcycle, its dual-clutch transmission (optional) paved way for genuine push-button shifting. With a 1300cc V-Twin under its hood, the bike stood out from the company’s traditional approach. In 2015 they made the Honda Stateline which is one of the most popular bikes. It does not resemble any traditional racing like the CBR, but is a more personal bike for the daily cruiser. Custom Honda motorcycle wheels and accessories are very popular with these motorcycles. This type of motorcycle is also known as a Bagger style.